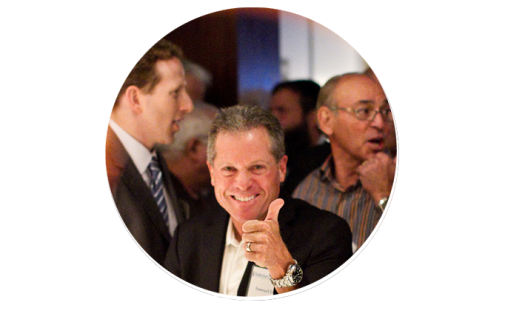 The Solomon Society is the place for every Jewish man in Orange County. It is a fellowship of men who inspire each other through their values and actions. Solomon Society is where you can enjoy camaraderie through social events and programs with speakers who are opinion leaders and policy makers, missions to Israel and the Jewish world, meaningful volunteer projects and so much more. It’s where you can make an investment that matters – an investment in our Jewish community. Each member makes a minimum philanthropic investment of $1,000 to Federation in his own name as a statement of personal responsibility for Jews in need at home and abroad. The collective power of Solomon Society’s philanthropic investments changes lives in Orange County, Israel and around the world. Considered the wisest of all men, King Solomon built the temple in Jerusalem. He is recognized as one of the greatest leaders of the Jewish people, a source of wisdom on religious, judicial and national matters. He was a skilled communicator whose Biblical writings have inspired millions throughout the ages. Today, inspired by the example of King Solomon, generations of Jewish men in Orange County have a new opportunity to fuel their passion for community building, and affirm their compassion for our people, through the Solomon Society. Your annual investment of $1,000 or more to the Generations Fund places you among the most dedicated philanthropists in Orange County. Your investment is a statement of personal responsibility for our Jewish community. The collective power of Solomon Society's philanthropic investments changes lives in Orange County, Israel and around the world. On average, over $1 million is invested by Solomon Society members each year. Operating support for the Bureau of Jewish Education, Hillel, the Merage JCC, Hebrew Academy and Tarbut V'Torah. Become a Member and make your Solomon Society gift today!